Former FBI general counsel James Baker told the House Judiciary Committee last October that it's his understanding that Deputy Attorney General Rod Rosenstein said there were 2 members of President Trump's Cabinet who were willing to invoke the 25th Amendment to remove Trump from office. 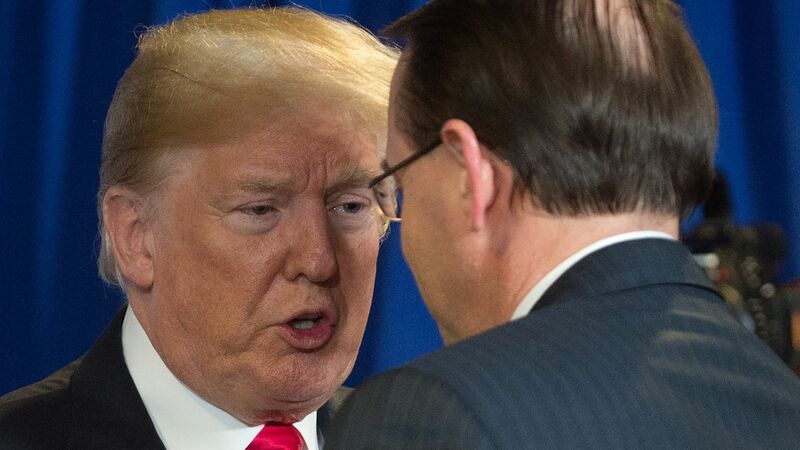 The backdrop: The New York Times reported last September that Rosenstein had discussed recruiting Cabinet members to invoke the 25th Amendment, which provides procedures for removing the president when he is "unable to discharge the powers and duties of his office." Around the same time, Rosenstein also reportedly discussed wearing a wire to secretly record Trump in the White House. Baker, who is under criminal investigation for leaking to the press, told the committee that he did not connect the two discussions, but that Rosenstein appeared to be serious about both. Baker said that Rosenstein's discussions about wearing a wire were related more to finding out whether Trump was trying to obstruct justice in the Russia investigation by firing FBI director James Comey. Republicans on the House Judiciary Committee released the transcript of their interview with Baker on Tuesday. Baker: To the best of my recollection [former FBI Deputy Director Andrew McCabe] told me that the deputy attorney general said that he had at least two members of the Cabinet who were ready to invoke the 25th Amendment.